| AUDIO TALK + ARTICLE | Dear Yogins + Friends, Join me as I share my thoughts on the art of Living Yoga – essential Yogic wisdom and practical inspiration for bringing Yoga to Life – both on and off the mat. | You can listen here or read the full article below… Enjoy! 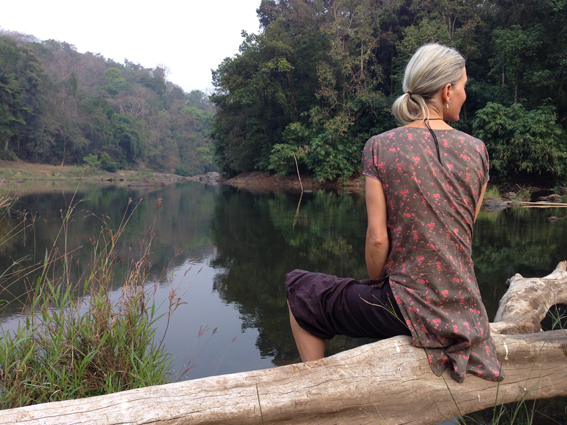 One of the most precious gifts of Yoga, is realising this: Whoever we are, wherever we are, and whatever the situation; we’re free to explore the subtle nature of our own inner landscape – via our Body, our Breath, and the mysterious realms of the Mind and Heart manifesting as thoughts, feelings and emotions. Through the liberating tools and techniques of Yoga, Meditation, Pranayama and Self Enquiry, we begin to understand this unique terrain of ours. In this way, we learn how to live from a place of open intuitive awareness, and let Life guide us. Naturally. Recently I was on retreat in India, delving deeper into my Yoga Sadhana (spiritual practice) and exploring matters of the Heart and Mind. Following the retreat I had the added blessing of journeying through South India on a Yatra (pilgrimage). As I was physically moving through the landscape absorbing the vibrant colours, sights and sounds of daily life, ritual and nature, at the same time I was exploring and navigating a Yatra within ~ my own inner journey of Self Enquiry, filled with gentle observation, natural curiosity, challenging questions, connections, insights (more questions! ), and of course a deep desire to surrender to What Is. Again and again. The river of Yoga is deep and wide and full of fresh experiences in every moment. While exploring off the beaten track with dear friends in Kerala, we spent precious time immersed in Nature, relaxing and meditating by the beauty of Her rivers. At times, I lowered myself into the freshness and flow, floating within the stream of awareness. Water on skin, sunlight on water, birdsong and friendship… fringed by the mysteries of the Keralan jungle, under the vastness of the sky. And, sometimes, just sitting by the river was enough. Whenever we step onto our Yoga mat – in class, at home, or on retreat – we’re continuing our inner journey of discovery. From the terrain and contours of the physical body, with its form, function and position in space; to the ebb and flow of the breath and the thoughts arising in the mind as we practice; it’s here that we come across some of the most fertile ground on our yogic travels. The regular exploration of Asana, Pranayama, Meditation and Mantra, are rich with practical experiences and gems of clarity and insight. OFF THE MAT AND INTO THE SKY! Relationships, family, health, work, our deepest aspirations wanting or waiting to be realised… sometimes the terrain of our daily lives can appear difficult, tiring and hard to navigate: What’s around the corner? How do I climb that mountain or cross that river? Yoga, Meditation, and practical Self Enquiry techniques can help us to approach these situations from a different perspective. To see things clearly, as they really are. To willingly embrace the unknown… With practice, patience, kindness and love for ourselves and others, the mountain becomes a series of gently rolling hills. The vast river becomes a stream with stepping stones. We begin to see the ‘Way’ through. The possible instead of the impossible. The art of ‘Watching the Mind’ or ‘Witnessing Awareness’, is a powerful and liberating way for us to become familiar with our thoughts and their habit patterns. This is a direct and accessible practice, but it requires our constant and patient attention! The more times we are able to witness and observe the thoughts that arise in the Mind, the less times we get lost in the Mind. For this transformational technique to be effective, we need to watch our thoughts with a natural curiosity, and, most importantly, without judgement. * Only then are we able to step out of the ‘Story’ – our ‘Story’ – and back onto the path. There’s no doubt that this is one of the most challenging practices we will ever explore! However, with dedication and a loving dose of patience and kindness for ourselves, a clear horizon begins to appear. Instead of feeling like we’re in a labyrinth with it’s endless wrong turns and dead ends, we grow wings and fly. Viewing the patterns, paths and terrain of our Mind (our inner landscape) from a refreshingly new perspective! Through the direct experience and practice of Yoga, we awaken our innate wisdom. We become our own trusted guide. As we learn where to gently place each foot, each step, a new ‘path’ is revealed and created at the same time. With practice, devotion and trust, a way that was previously unseen, blocked or hidden becomes clearer. Something that we could never have imagined unfolds, and when we reach the riverbank, we’re ready to dive into the stream with an adventurous spirit and open heart… and see where the current takes us! Are you wanting to dive deeper? 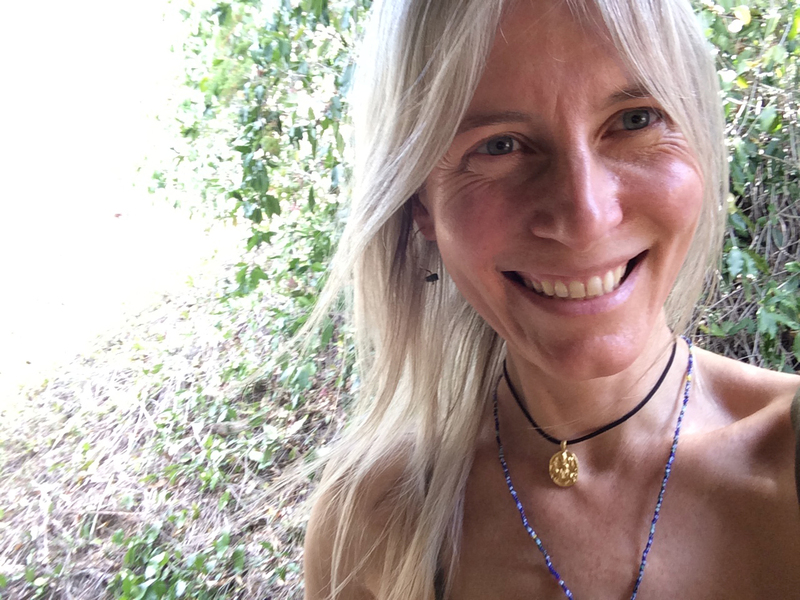 I’m passionate about helping curious Yogins with an adventurous spirit, explore the subtle dimensions of their Practice – and to (re)awaken a deeper connection with their own authentic Sadhana – in ways that are openhearted, spacious, fresh and alive! If you’re curious to know more, I’d love to hear from you! You can get in touch with me here. WELCOME TO YOGA NATURE ~ Mardi is dedicated to helping people reconnect with their essential Nature and the vibrant Source of Wellbeing, through the wholistic practices of Yoga. At its heart, Yoga offers us precious tools to live life fully – with more clarity, understanding, ease and joy… We begin to Awaken! Mardi shares an authentic approach to Yoga, creating a supportive, joyful and energising space for seekers of wellbeing, curious beginners, and Yogins with an adventurous spirit. Yoga Nature offers Classes in Kelvin Grove + Brookfield, as well as Personal Yoga Sessions | Beginners Courses | Immersions + Workshops in the Brisbane area. * With limitless Love and Gratitude to my precious Dear One, for his insights, wisdom and patience. It’s through him, that I am lovingly reminded to ‘Wake up!’ – Again, and again… Jai Maa! (Images: The inner and outer landscapes of Yoga + India. Kerala river moment by Andrew).